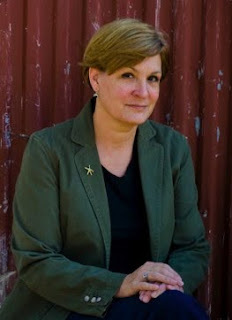 This Veteran's Day I am thrilled to share with you the following interview with author Cheryl Kerr. Cheryl has written a wonderful book, See Ya, about the children of two different war vets. I am half way through the book and really enjoying it so far. Cheryl is a fellow Texan and a very talented writer. I am so excited to feature her here. Be on the lookout for my upcoming review of See Ya. You can pick up your own copy at Chanterpress.com. What inspired you to write See Ya? Not truly knowing the man my father was when he died. How can you say goodbye to someone if you don’t know who it was that left? I yearned to figure out who my father really was, and I know other people have had similar experiences. It is such a precious moment in time when you find your answers. I wanted to capture a moment like that. What was it like growing up with a military background? Rough. You move a lot. You are part of a different culture. Full of transitional people, full of knowledge beyond my own and how to survive when you don’t know that world. How much is Manda's story like your own? Very. A sense of searching to belong, of not fitting in. Her questions are my own. I have readers ranging from middle school students to WWII veterans. It seems to have a broad appeal because so many people can relate to Manda’s search for closure. There is nothing in the book that anyone cannot or should not read. Yes, there are other stories to be told. I have been asked and have begun writing another novel about these same characters. Manda and Cameron seem to strike a chord. What do you hope people get out of reading See Ya? To live. To know your loved ones and yourself. I hope they realize they shouldn’t wait for these things to happen, because time can be very short. And you don’t want to miss your opportunity. What does See Ya give people? Room to recall their own struggles and grief. The book sets out Manda’s but allows readers to say, “This happened to me.” And then they tell me all sorts of things about their personal stories. It is amazing to have that trust.